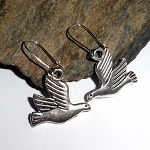 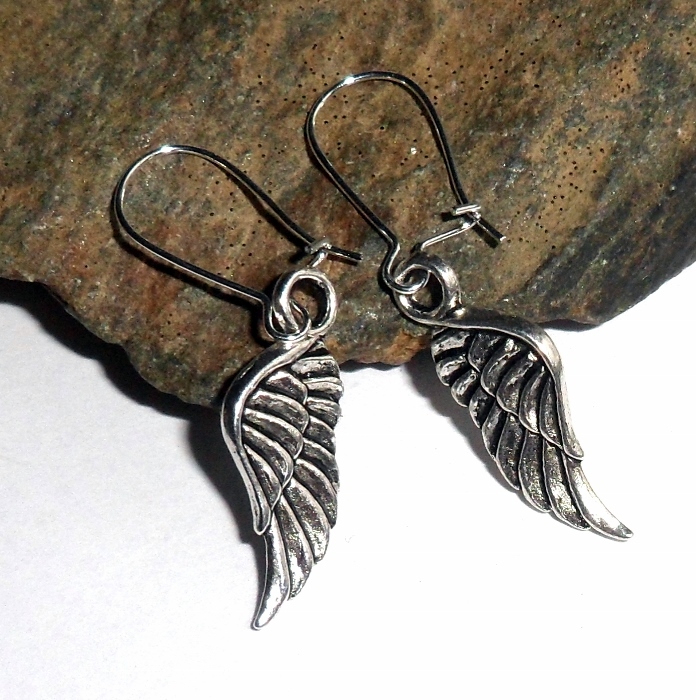 Tibetan silver angel wing charm earrings. 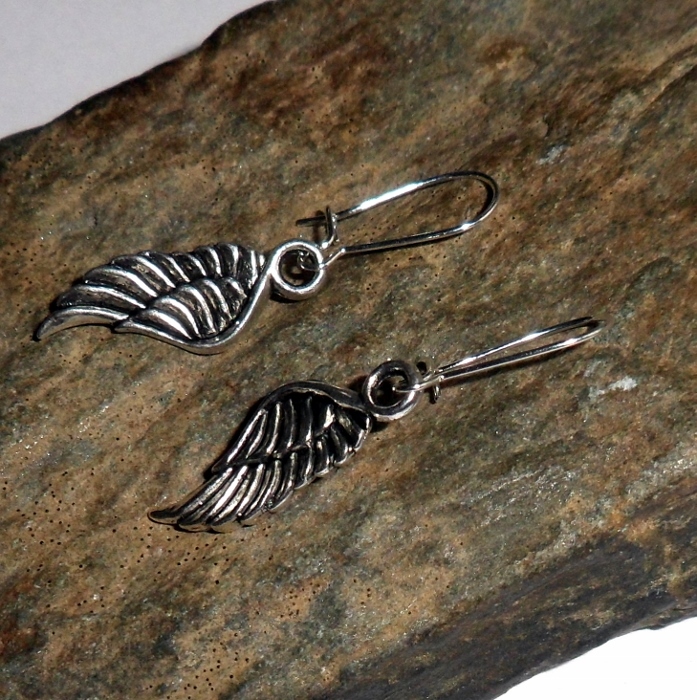 The charms are Tibetan silver and the ear wires are silver plated. 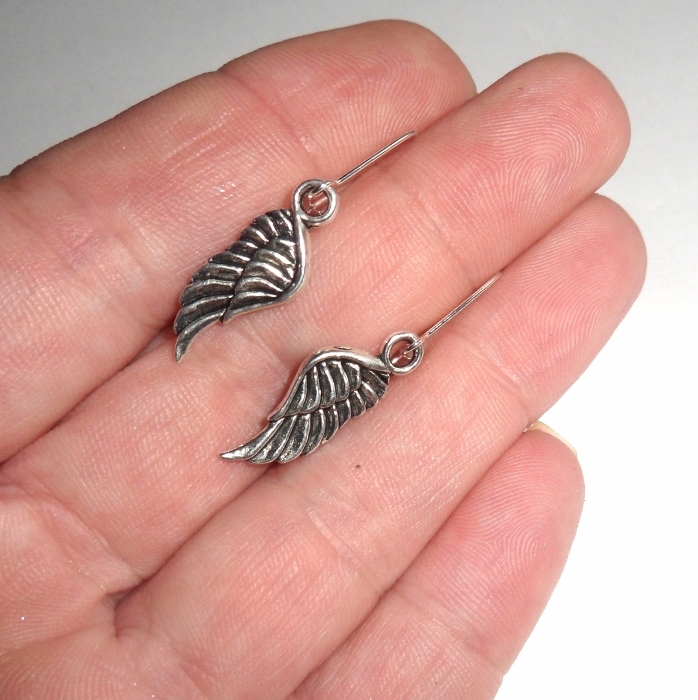 Total earring drop length 1 3/8 inches.